Community Law Marlborough provide free, confidential legal information, assistance and education to the Marlborough community. To provide a fair, reasoned and unified voice for mooring and berth holders and users of marina-based recreational boating facilities in Marlborough. We all know that Civil Defence is a serious business but the people who volunteer to be part of this worthwhile organisation are fun loving folk like yourselves. 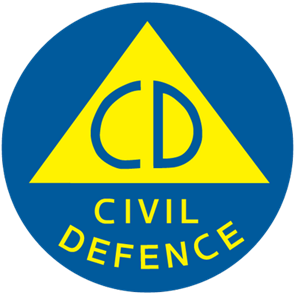 Picton/Waikawa Civil Defence meet monthly, usually at the Fire Station on the third Thursday of each month at 5:30 pm. We are a new group of volunteers who are happy to be responders when disaster strikes. Why don’t you come to our next meeting and see if this is for you? There is no office in Picton, the Blenheim office is the nearest. 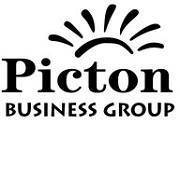 Picton Business Group provides a forum for discussion and action on issues affecting the business community of Picton and the Sounds. Any Picton or Sounds business is more than welcome to become a member of this group. Lions are ordinary people from all walks of life who enjoy getting together and doing good things. They work on projects to improve our communities and protect the environment. And they enjoy friendship and fun while doing so. Whenever Lions club members get together, problems get smaller. And communities get better. Tea Meeting (all welcome), 6.30pm at The Barn, High Street, Picton, 1st Wednesday of the month. Committee Meeting, 6.30pm at Endeavor Pavilion, Waikawa Road, Picton, 3rd Wednesday of the month. The New Zealand Newcomers Network is a network of groups throughout New Zealand welcoming newcomers. Anyone can join. We welcome you if you are new to a region from around New Zealand or around the world. Joining the Picton Newcomers group is a great way to meet people & make friends in your new community & it’s FREE. Coffee mornings: 1st Tuesday of the month from 10.00 - 11.30 am. Our join them for “Sundowners” 5.00 -6.00 pm at Cafe Cortado, London Quay. 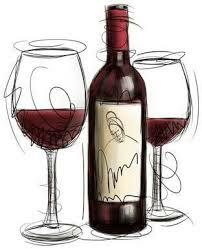 Relax over a glass of wine or coffee. The Picton Seaport Trust aims to promote Picton and its maritime heritage as a visitor destination, through the founding of a Maritime Heritage Reserve containing various projects and preservation of historic buildings, artifact and memorabilia. The Picton Smart and Connected Steering Committee is a tem of volunteers, working in with the community and key regional stakeholders, to help ensure the people of Picton have a clear and cohesive voice on issues affecting their town and community. Age Concern Marlborough provide support, information, advocacy, advice, friendship and social services for all older people. 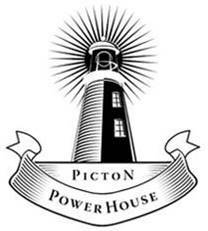 Picton Senior Citizens meet at 1.00 pm every Monday at the RSA for housie, raffles and a cup of tea. The Queen Charlotte Friendship Club, formally Probus, meets every second Wednesday of the month at the Port Marlborough Pavilion for fun and fellowship from 10.00 am till noon. On the fourth Wednesday of the month the members enjoy either an inexpensive club outing to a place of interest or an afternoon of games. The club is aimed at active retirees or near retirees who enjoy participation within the community. SeniorNet is a community training network that supports and motivates people aged 50+ to enjoy and use technology in their everyday lives. They have basic courses starting with Beginners, to Windows 10 and through to Advanced Word Processing, Spread sheets (Excel), Cloud Storage, Trade Me and many more. Join in the fun and learn how to do everything from Computing for Beginners to sending emails and using Skype. Workshops for Smartphones and Tablets are held on the third Thursday of every month at 10.00 am in the Picton Library. We also support a Camera Club and a Family History Group. The Welcome In is a group that allows friendship and fellowship along with a warm and safe place for the elderly who live alone within the community to meet and enjoy conversation, stories and a warm drink. Members can be collected and delivered to the café. Meet on the first Friday of the month​.